The bridge, which was proposed even before 2005, will start from Sewri in South Mumbai and join Navi Mumbai's Nhava Sheva area. It will be built by Larsen & Toubro (L&T) and South Korea's Daewoo. The Mumbai Trans Harbour Link, which will connect South Mumbai to Navi Mumbai, will start from Sewri in South Mumbai and join Navi Mumbai's Nhava Sheva area. 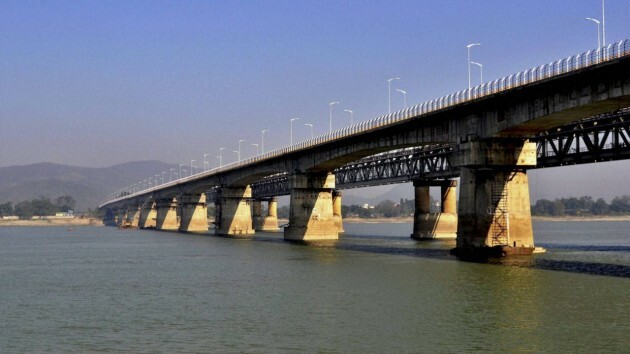 The bridge will be built by Larsen & Toubro (L&T) and South Korea's Daewoo. The steel will be supplied by Japan's IHI Corporation. L&T will be spending Rs 8,637 crores to build two parts of the bridge — the Sewri side, which will cost about Rs 6,400 crore and the mainland side. Daewoo will be constructing the in-between part which is expected to cost around Rs 4,900-5,000 crore. The link will be similar to the existing Bandra-Worli Sea Link and will be built over the sea connecting the two ends. The first estimate of the project was pegged in 2005 at Rs 4,500 crore and over the years the total estimated cost has now increased to more than Rs 17,000 crore. According to Financial Express, the project, which was initially planned as a four-lane bridge, is now set to be eight lanes with two emergency exit lanes. The report points that this could likely be the cause of the increase in the cost. The extra lanes were proposed by Japan International Cooperation Agency (JICA) — which is taking care of the funding process. The report also says that the toll rates, which were proposed in 2012, are likely to remain the same despite the jump in the costs. The bridge will connect Mumbai to Navi Mumbai and Mumbai to Pune Expressway. The bridge will help boost economic relations between Japan and India and will help connect inaccessible areas with ease. In an interview with CNBC TV-18, L&T MD & CEO SN Subrahmanyan said that the bridge will be built by 2021. The plan was proposed even before 2005 when the first estimate was declared. The project comes under the ambit of Mumbai Metropolitan Region Development Authority (MMRDA) and it is handling the project model, etc.